Hicks Lokey is one of the least known and most elusive of the animators in the countdown. 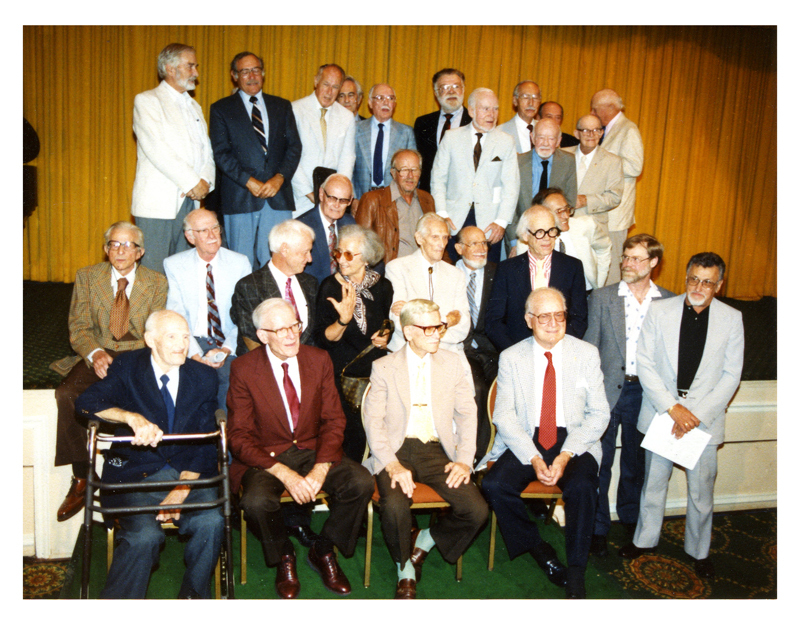 Born in 1904, Lokey began his animation career at Terrytoons in the 1920s, the place where he first met future Disney greats Norman Ferguson and Bill Tytla. He then went on to work in Myron Walderman’s unit at the Fleischer Studios, where he worked on many shorts with Betty Boop. After being an influential figure in the 1937 animation strike at Fleischer’s he moved out west to work first for Walter Lantz before joining Disney around 1938-1939. 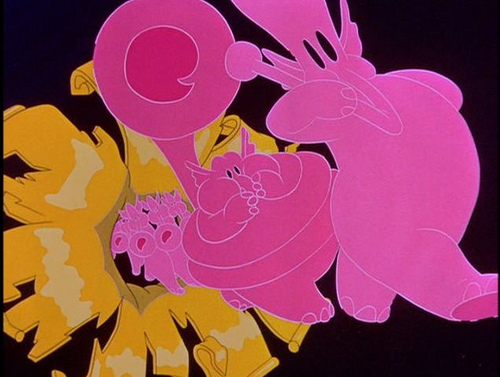 The two most famous things Lokey worked on at Disney where the Dance of the Hours segment in Fantasia and the frightening opening of Pink Elephants on Parade in Dumbo. Hicks retained his New Yorksensibilities at Disney and it reflects into his work. He was a very unique animator and had a very distinct style in his animation. After joining the military in 1941 Lokey almost completely disappeared from the industry for 17 years and there is no known documentation of what he was doing in that time period. In 1958 his career was resurrected when he was hired by Hanna-Barbara and worked on many TV shows up until his retirement in 1986 at the old age of 82. Before passing away on November 4, 1990 Lokey got one last chance to connect with his fans when he attended Grim Natwick’s 100th birthday party weeks before his death. If there’s one thing Hick Lokey did better than anybody else it was giving the characters in his animation weight. 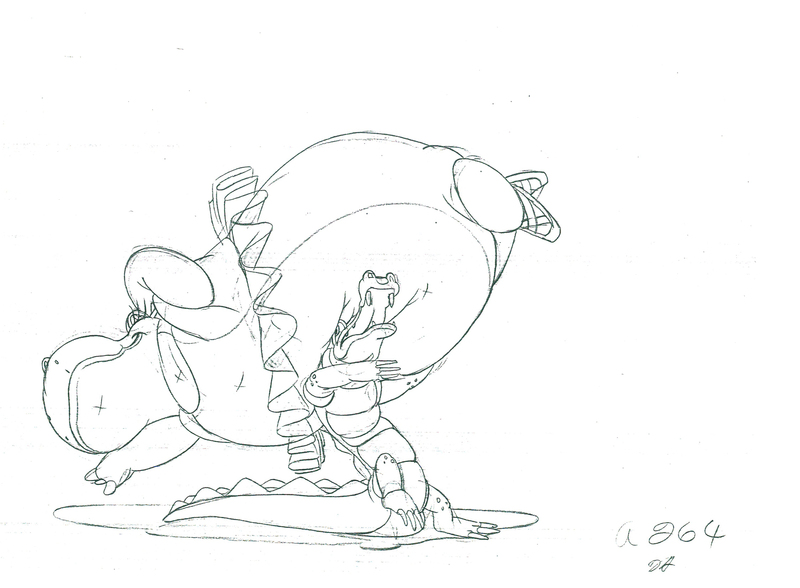 True Bill Tytla, John Lounsbery, Ruben Aquino, Glen Keane, and Duncan Marjoribanks are also experts in this area but you can feel the weight pressing down on you just from looking at Lokey’s animation. 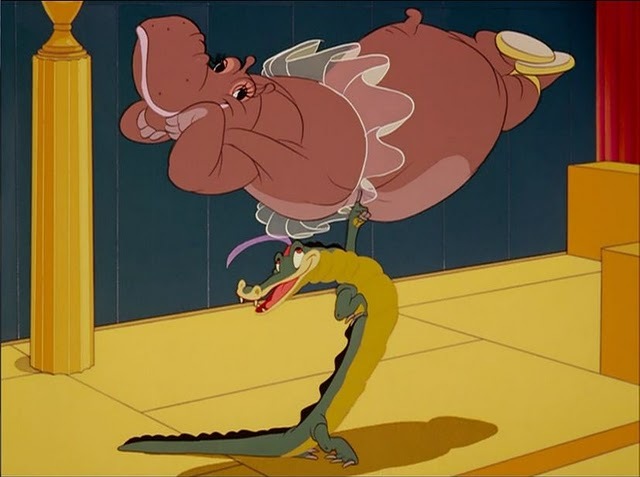 To understand this and the genius of Hicks Lokey at work go to Michael Sporn’s blog and check out his posts on the animation of the hippo and crocodile Lokey did for Fantasia. Each drawing is so creative and original! The hippo’s weight feels like it’s about to crush the alligator flat. Also when studying this scene you see Hicks is also a master at spacing and finding the rhythm of his animation. The timing works expertly well with the music and the actions directly reflect the feeling the music gives you. Notice that during the first fall the spacing is relatively close when the hippo is crashing down but the next time the spacing is very wide. This effect the second times makes it very strong and climatic as well as giving the scene a great comedic feel. The Dance of the Hours segment is one of my absolute favorite pieces of animation ever made and I love studying it. Some kids have dates and sports; I have the Dance of the Hours to freeze frame and to learn something new about animation every time I watch it! I think that and the animated sequences of the Song of the South are the best examples of how great animation can be and how you can do things in animation that are impossible in any other medium. Also Lokey’s work has great use of perspective and caricature. In the realm of impact I think Hicks Lokey is one of the most underrated talents of all time. 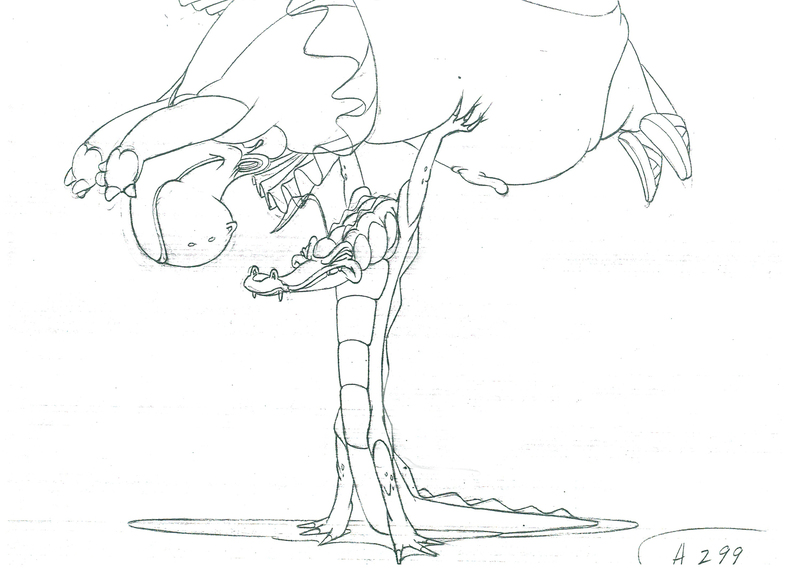 As I said earlier he was a pure genius and truly gifted animator. I think he’s significant because he’s one of the best at combining the unique, obscureNew Yorksensibilities with the principles of perspective and realism done by the animators out west. 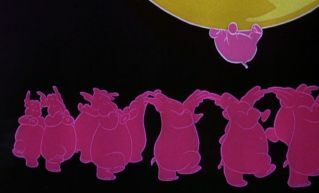 He also did two of Disney’s most iconic shots: the hippo crashing the crocodile in Fantasia and the pink elephants creepily walking into the screen and moving around like monsters in Dumbo. I think if Hicks were to stay at Disney instead of leaving due to the military and labor issues he would have stayed on to have a great career at the mouse house and possibly even be a directing animator. Imagine if Lokey had worked on Cinderella, Lady and the Tramp, or Song of the South? Great scenes thrown away is what I call it. What inspires me most about Hicks Lokey is the combination of sensibilities and techniques which I spoke about earlier. Someday I want to be an animator who does use techniques like spacing, timing, and perspective expertly well but I also want to be completely original and work by my own rules. Hicks is one of the animators whose work I study to try to figure out how to do that. Also his use of weight and rhythm in a sequence is an inspiration to whoever sees it and has enough sense to feel the geniusism they’re observing. Really his animation has it all. So many great elements with so much creativity! To sum it up Hicks Lokey was an unbelievably gifted and genius animator and his work should always continue to inspire animators and students forever. Thanks Hicks for the great work and for inspiring me so much. This entry was posted on May 20, 2011 at 12:05 am and is filed under Uncategorized. You can follow any responses to this entry through the RSS 2.0 feed. You can leave a response, or trackback from your own site. Nice blog you have here. I’ll mention it on mine tomorrow. You should give credit to other blogs when you use graphics from them. Something you don’t seem to realize is a basic courtesy. Thank you. I’ll try to figure out how to credit the photos. 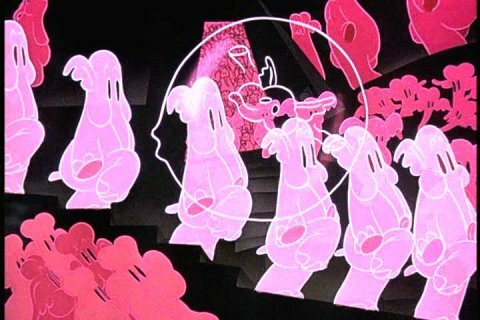 Further to Dumbo and Fantasia, my favorites, not from an animators standpoint, but from my childhood, was watching his other work such as Scooby-Doo, The Flintstones, and finally The Smurfs. His memory lives on through the amazing work he left behind for us all to experience and treasure. Hicks was a wonderful man. He was a great believer in animator’s rights and has the distinction of being in every animation strike except one. He was in the Max Fleischer Strike of 1937, The Disney Strike of 1941, The Runaway Wars of 1979 and 1982. The only one he missed was Terrytoons back east in 1947. At the Hollywood Animation Guild, we remember him fondly. I think I might be related to Hicks Lokey. Do you know anything about his relatives in Alabama? My grandfather was Lon Eugene Lokey from Gadsden, AL. Hicks may have been his cousin (?). 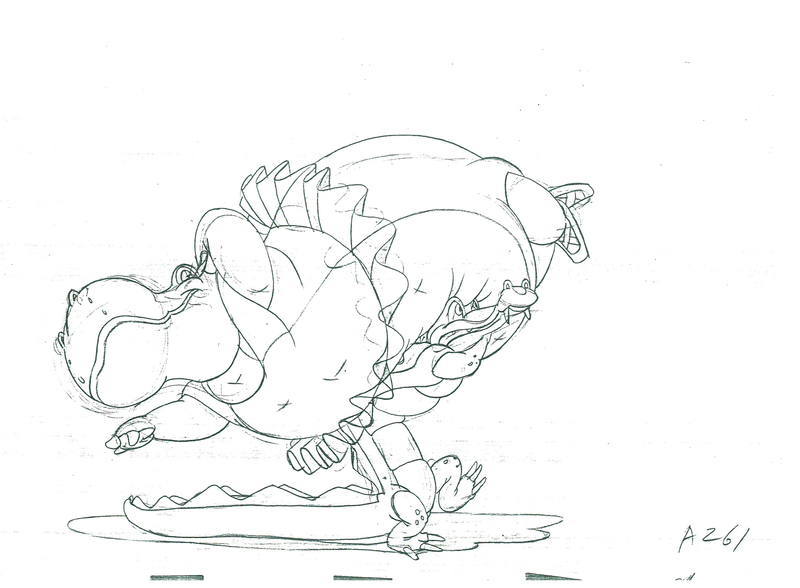 I agree that Hicks Lokey’s animation on Dance of the Hours was great, but that last screengrab of the gator holding up the hippo was actually by Preston Blair, from the end of the sequence — Lokey did the earlier scene where he tries to lift her up, and struggles with the weight.